India hosts more than half (2’226) of the endangered wild tigers left in the world. 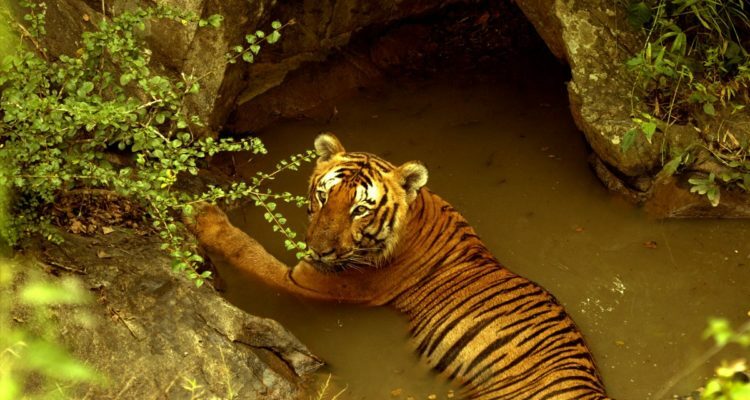 This programme implemented by Widlife Trust of India (WTI) is conceived to improve the protection of the tiger and its prey base from poaching, in five Tiger Reserves in the southern Indian State of Karnataka, namely, Bandipur, Bhadra, Biligiriranganatha Swamy Temple Wildlife Sanctuary (BRT), Nagarhole and Kali. Bandipur, Nagarhole and BRT tiger reserves are a part of a contiguous cluster of protected areas collectively called as the Nilgiri Biosphere Reserve (NBR), a UNESCO World Heritage Site. The protected areas in the NBR are well connected to each other, thus allowing free movement of wildlife, including threatened big mammals such as tigers and elephants. However, there is strong evidence to suggest that the conservation efforts to restore the tiger population in this region, are routinely hijacked by rampant poaching and prevalent habitat-destruction. Kali and Bhadra Tiger reserves, although not connected to NBR, serve as important protected areas by creating a porous green corridor for animal movement in the Western Ghats landscape.